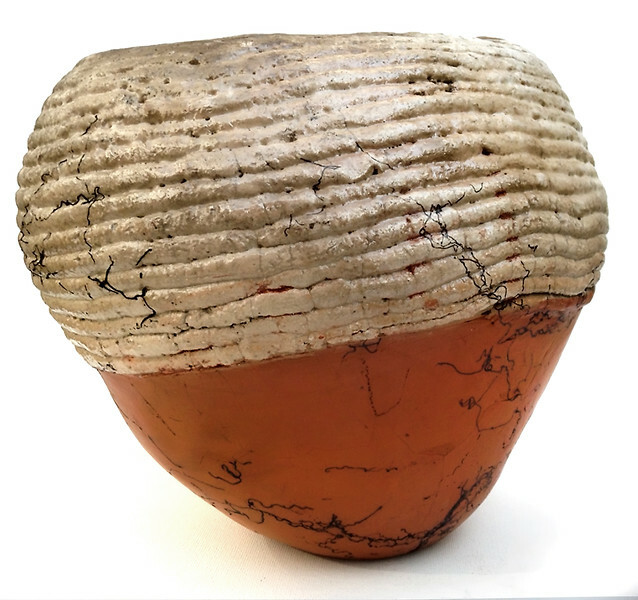 Normally, nature does the roughing in and the sentient being applies the finishing details. 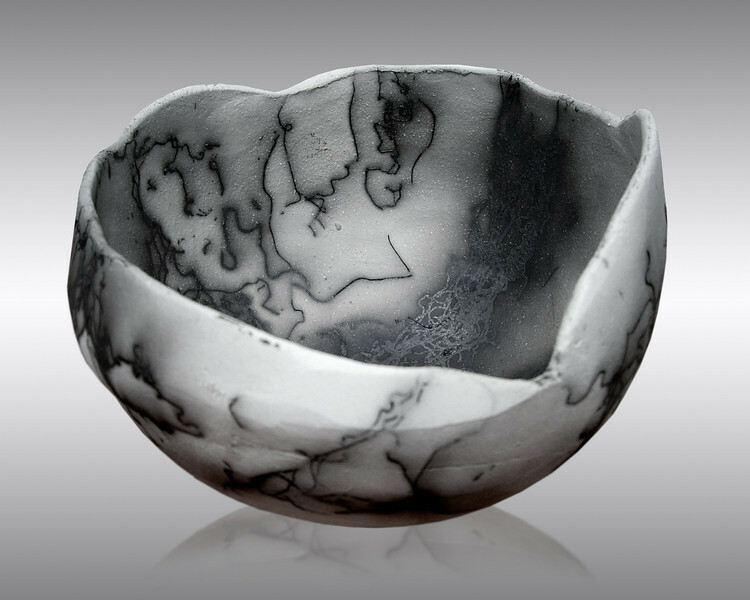 Beth Holt seemingly reverses those roles as her raw forms appear to have been effortlessly squeezed out of one hand in a single motion while the finishing line work and minute details have the random serendipitous quality of a perfect snowflake or briar gnarl only the maternal source herself could have rendered. 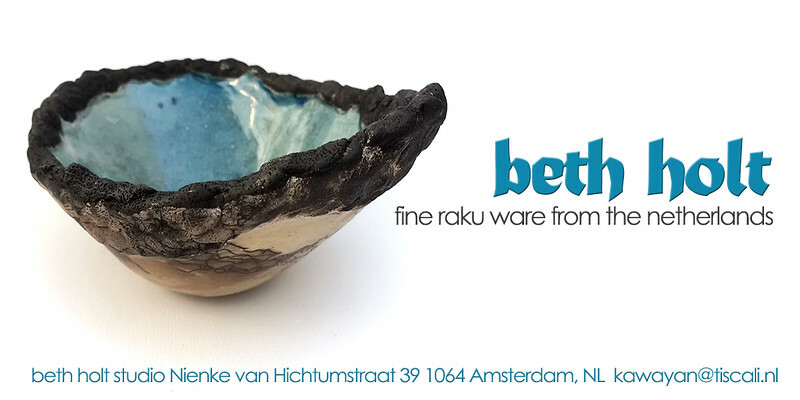 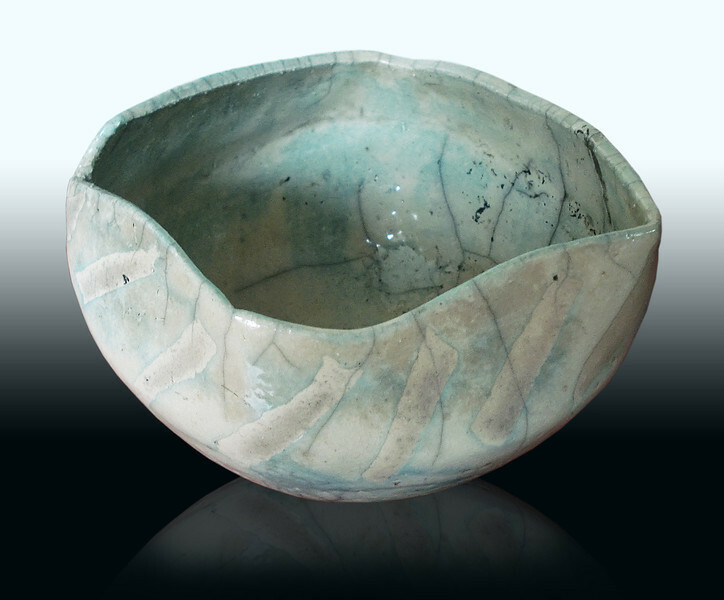 Her ceramic pieces inspire sheer delight with their perfect simplicity and graceful balance, while her glazes and brushwork exhibit a rare gift for color. 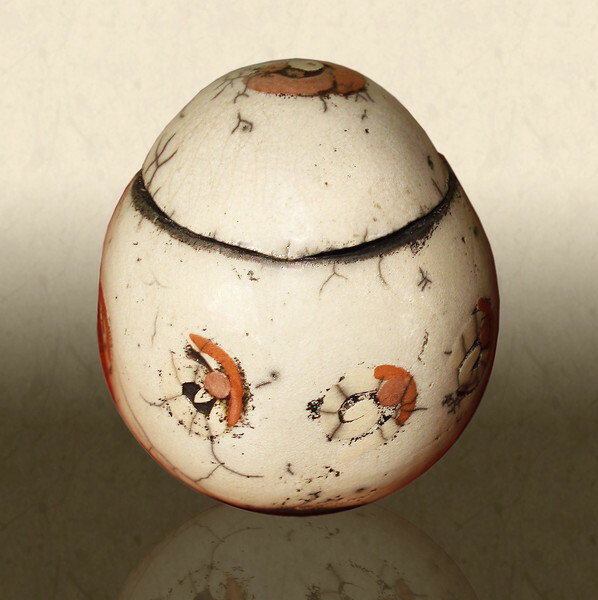 These timeless artifacts could have been the yield of an archeological treasure trove, but Holt forms each one with the sure-handed precision of a sorceress and the quiet humility of a shaman. 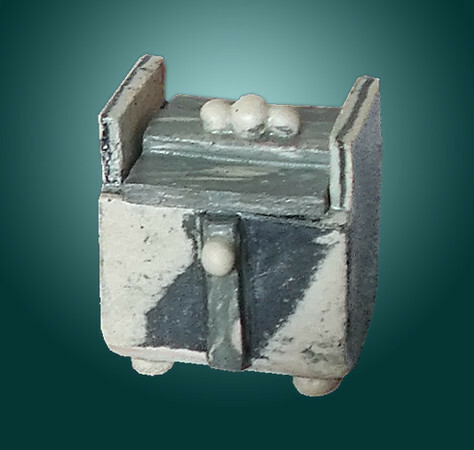 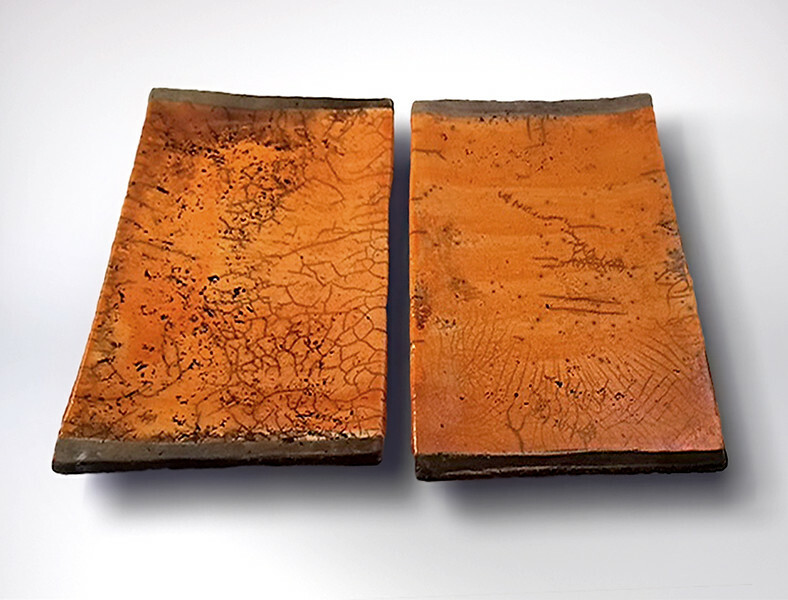 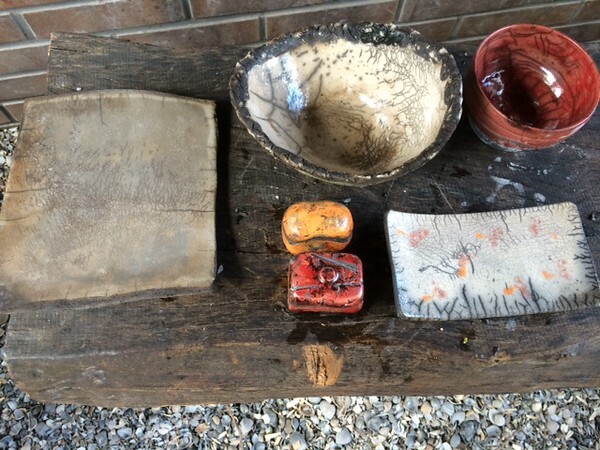 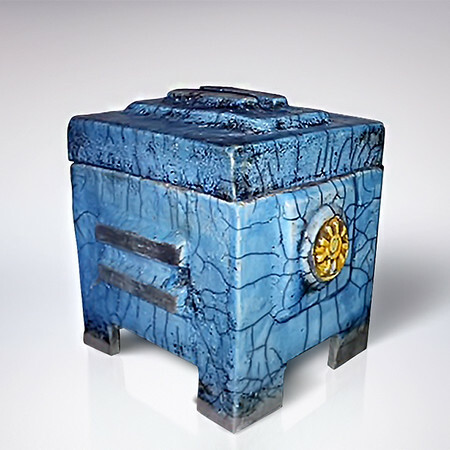 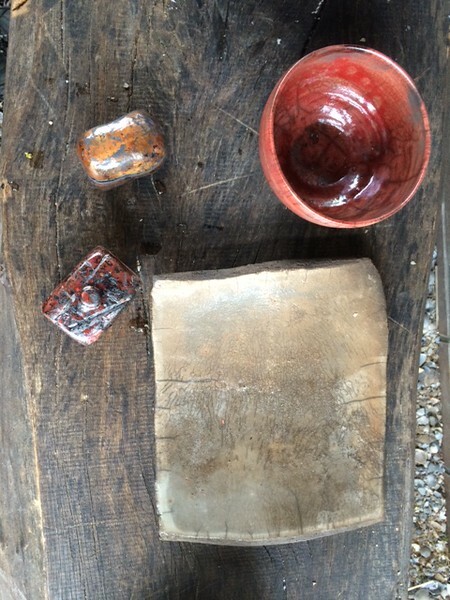 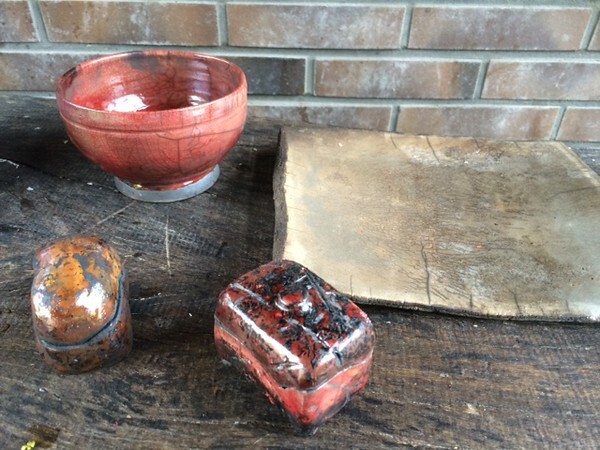 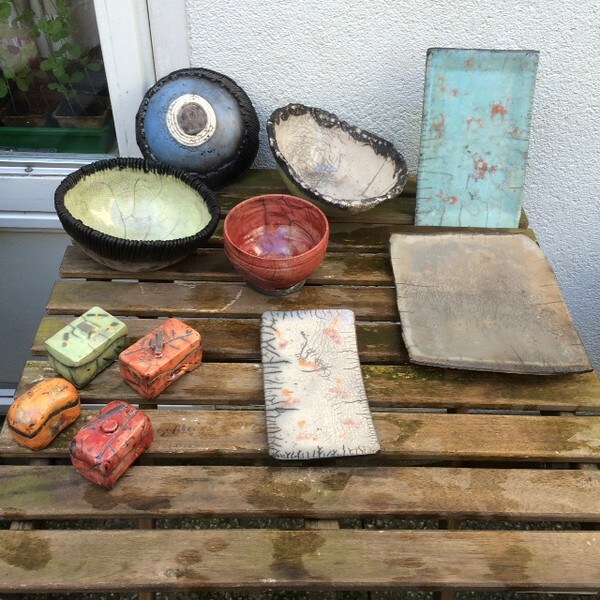 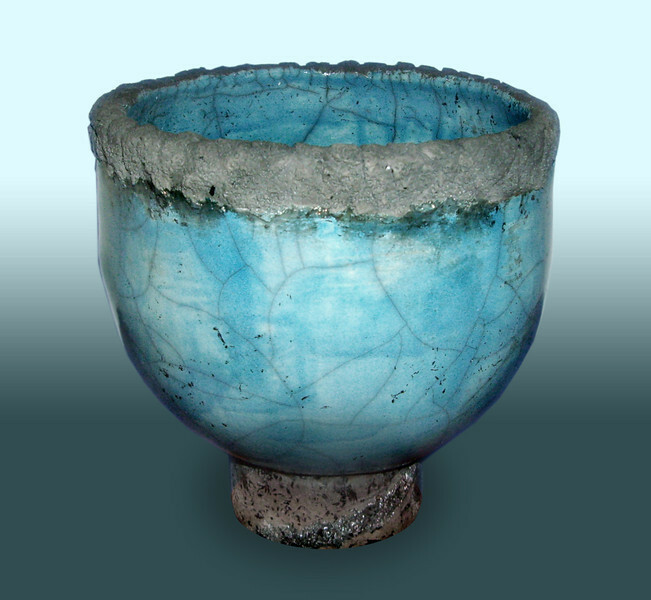 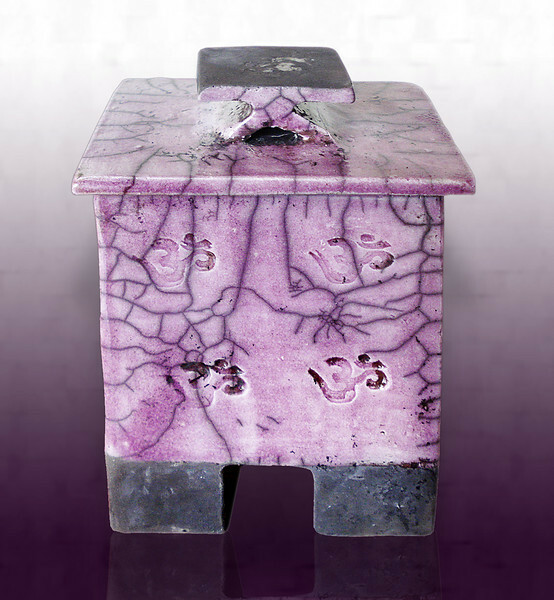 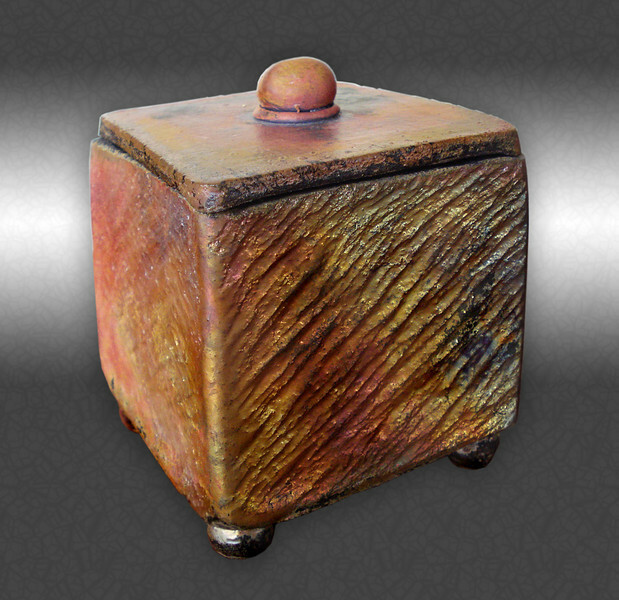 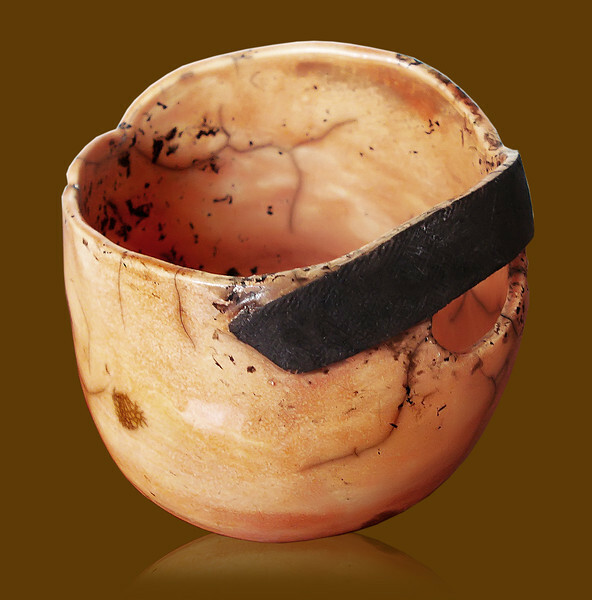 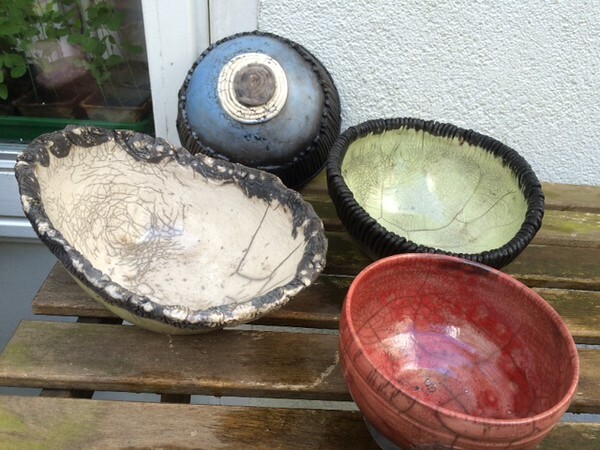 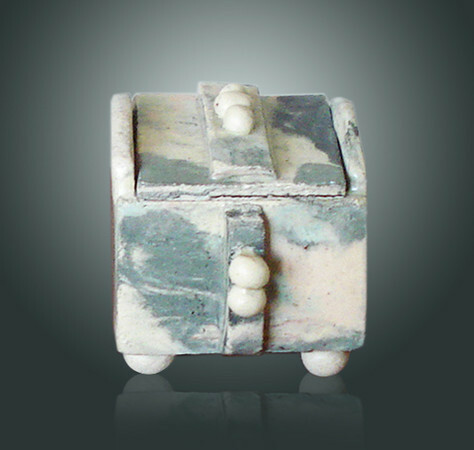 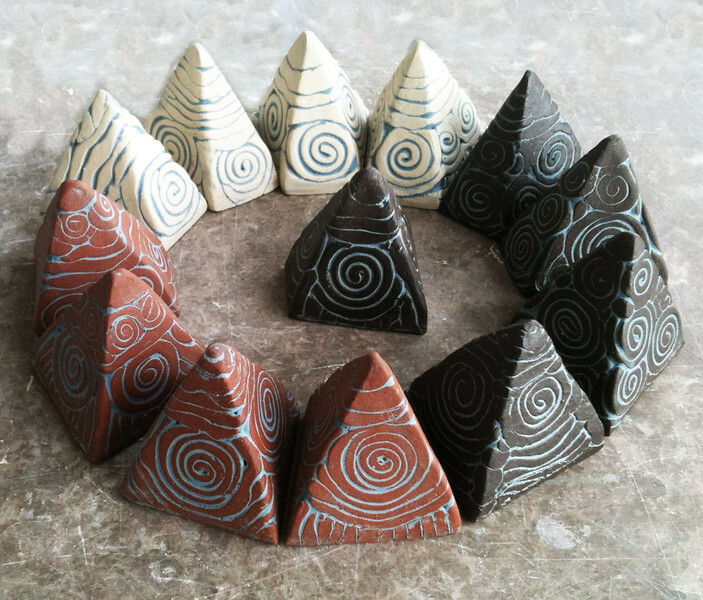 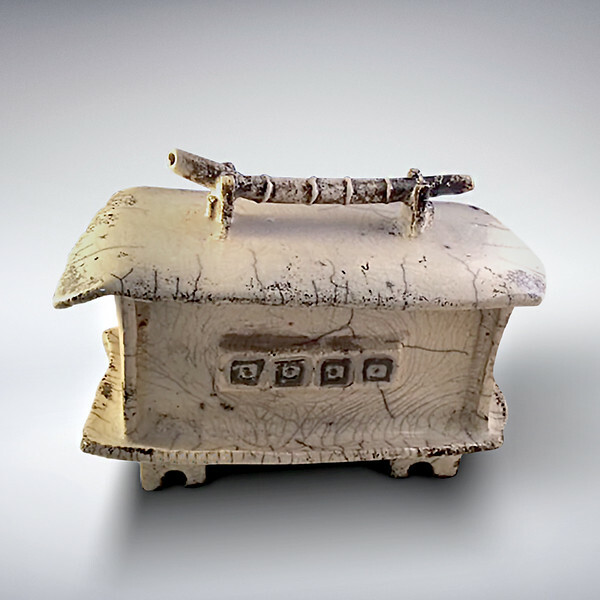 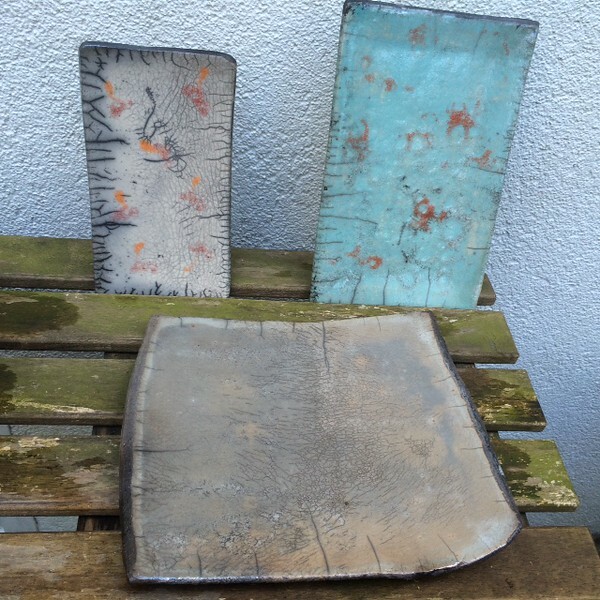 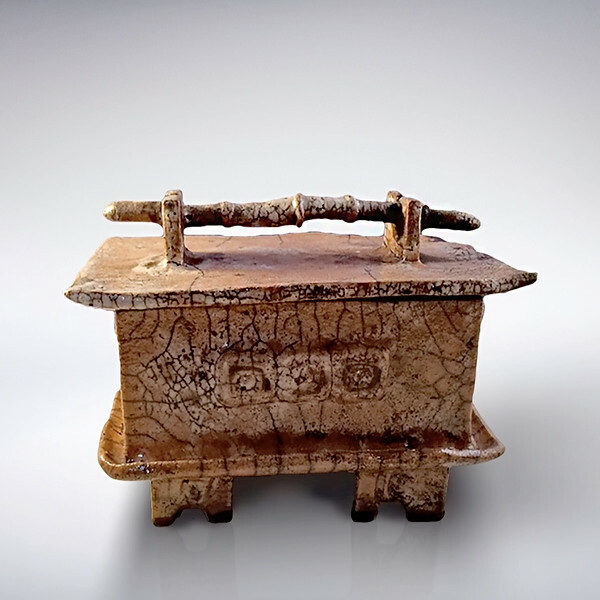 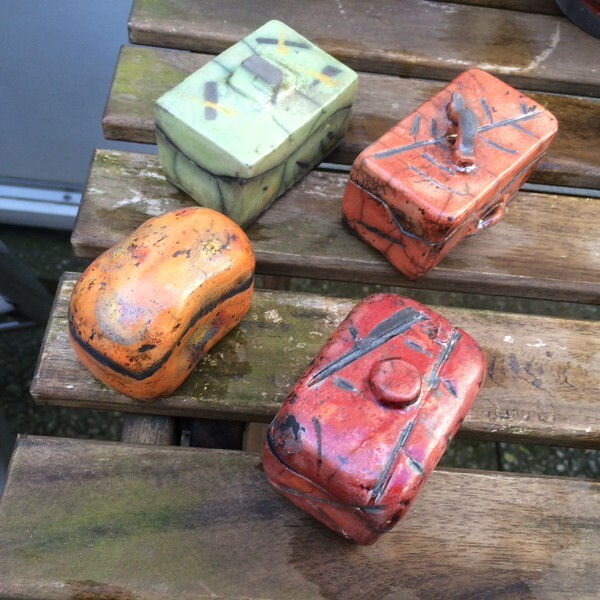 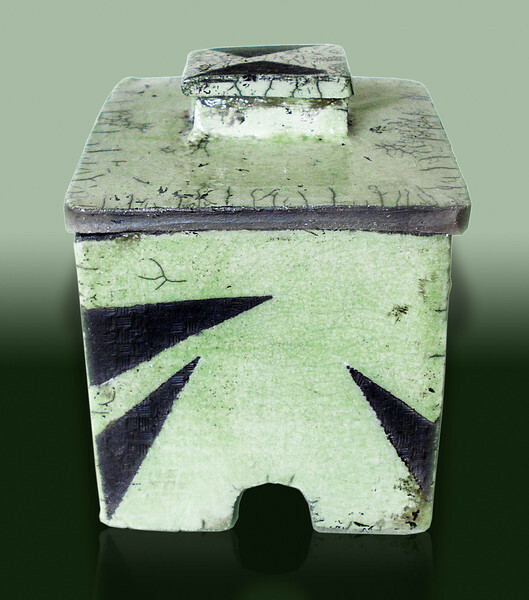 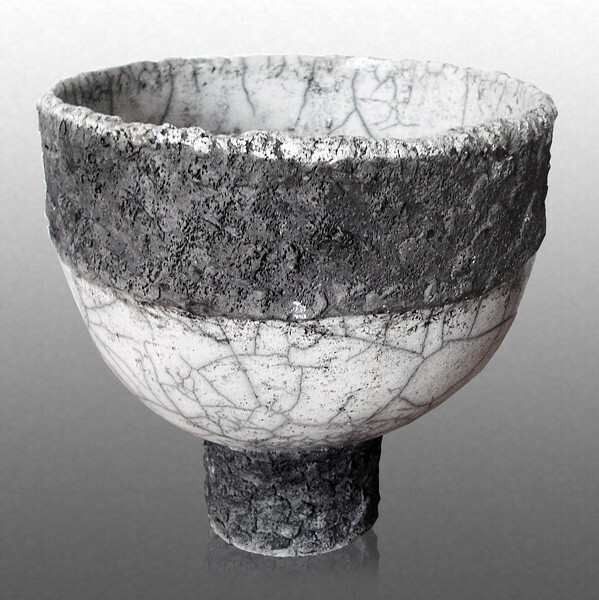 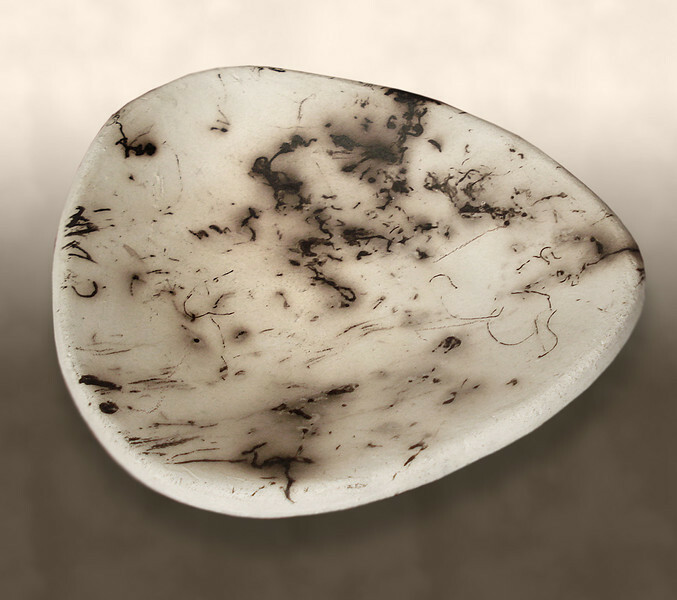 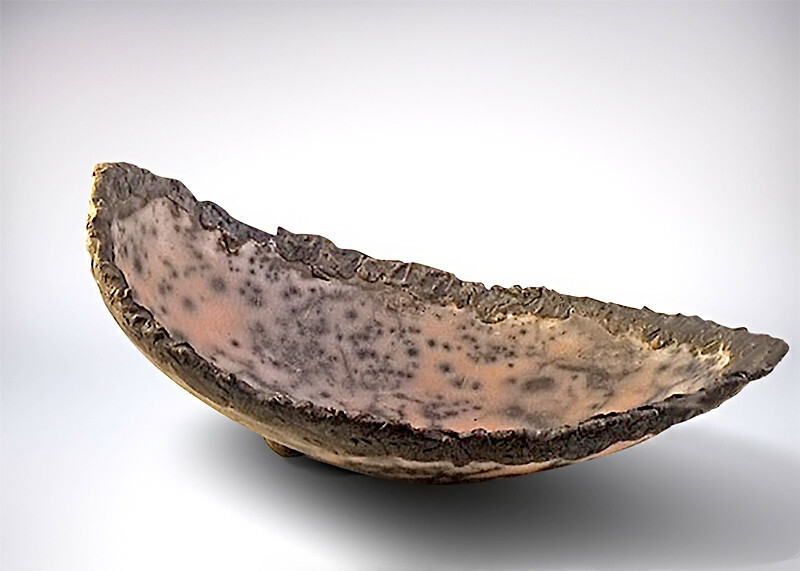 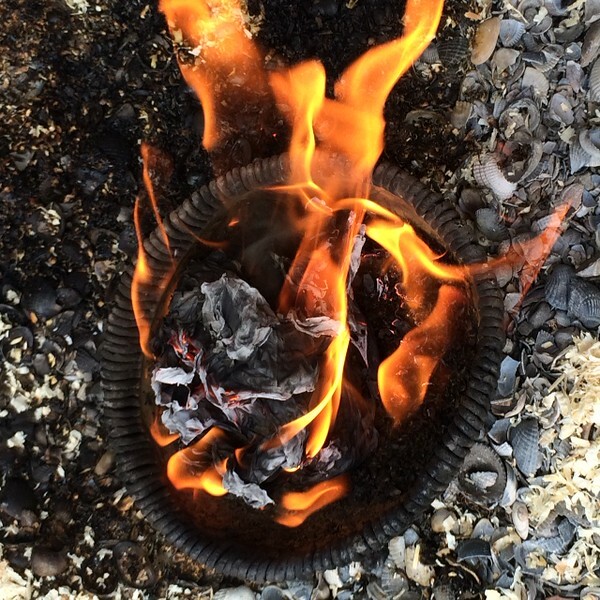 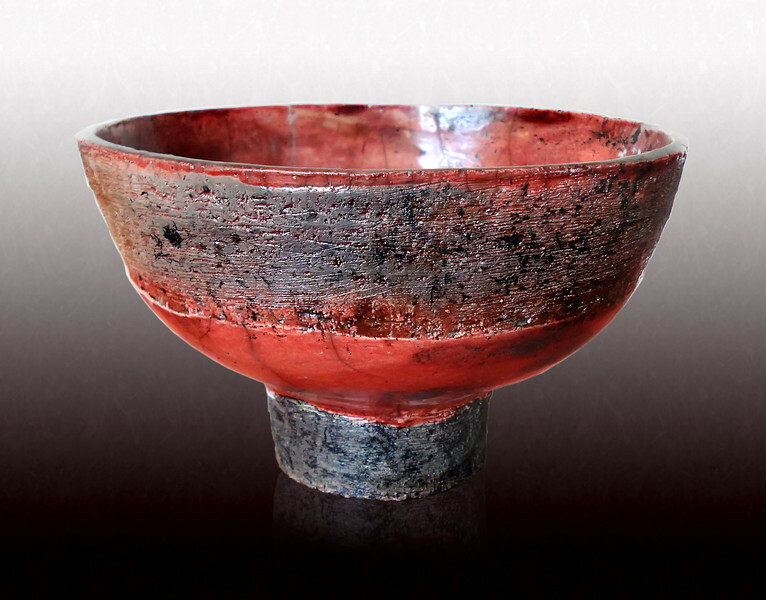 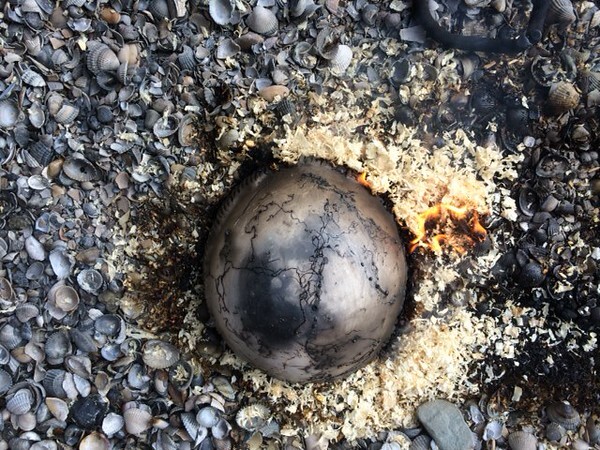 (meaning comfort or ease) pottery, a little known Oriental art form in the West until the 1950's, has been experimented with and expounded upon by many different raku artists around the world. 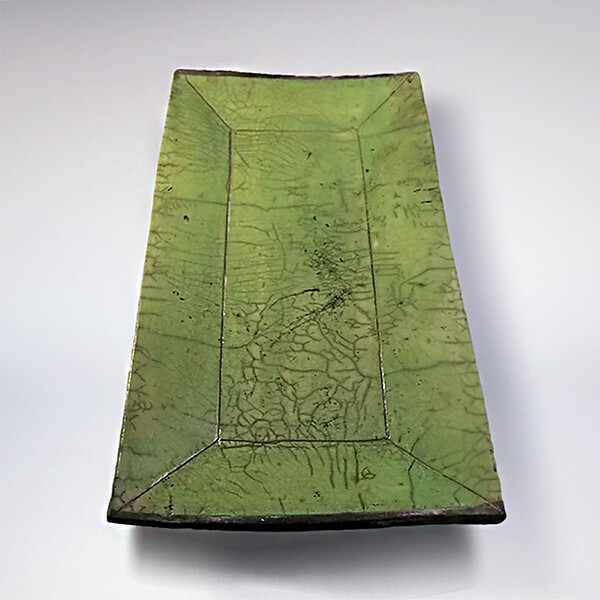 The back to basics approach, and beautiful results of emerging artist and Martial Arts instructor Beth Holt are a welcome respite in a world of gaudy finishes and sleek contemporary designs. 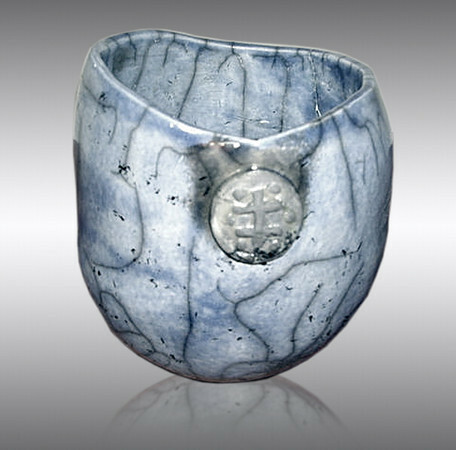 Holt's unique pieces- a mixture of eastern and western techniques- convey all the simple beauty and vision of the old school masters from the Orient long past. 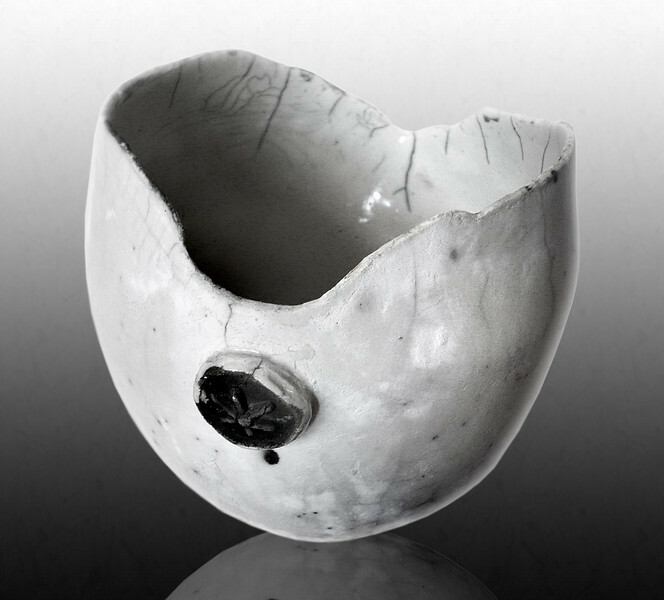 Latest Firing, Spring 2016- To find out more about this new work, feel free to contact the artist. 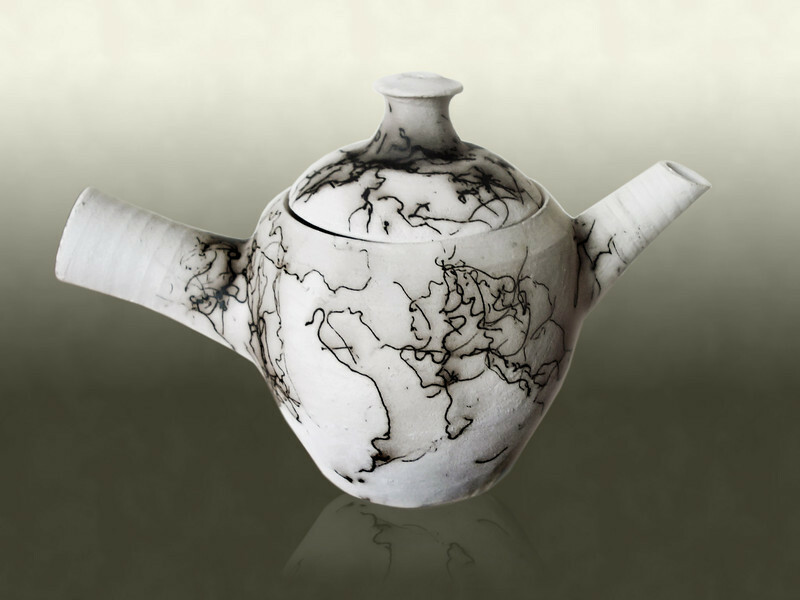 Horsehair Teapot (SOLD) AAG permanent collection.